Just ask our staff to book on any one of the fabulous world class entertainment packages including theme parks, dinner and stage shows, or simply explore some our beautiful natural attractions a short journey away. Bleach* is the Gold Coast Festival, taking place annually across the City in April. The program is one of Australia’s leading and most exciting site-specific contemporary arts programs. Quintessentially Gold Coast, Bleach* celebrates the city’s most dynamic and adventurous artists, welcomes renowned Australian and international collaborators and engages a broad audience through a range of events. Utilising the Gold Coast’s world-famous natural landscape as unconventional venues, Bleach* aims to deliver incredible arts and cultural experiences that challenge expectations, change perceptions and provide a unique and authentic sense of place, inspiring both locals and visitors alike. Bleach* The Gold Coast Festival has attracted more than 470,000 people since its inaugural year in 2012. The program features work across all genres including dance, theatre, contemporary music, opera, installations, circus and major public events. If you’re a seasoned ocean swimmer, the Cooly 5.0 is a great new opportunity to test yourself beyond the typical open water distances. The Blues on Broadbeach Music Festival hosts free international and Australian talent annually across 20 outdoor stages and venues throughout Broadbeach on the Gold Coast. The free event, staged in the streets, parks and venues of Broadbeach over four huge days, throughout the popular Gold Coast hub will also feature plenty of talent from all genres of Blues music and is unique in its location with access to plenty of accommodation, dining, retail options. Cooly Rocks On™ is an annual celebration of everything 50s, 60s and 70s bringing the colourful and vibrant beachside towns of Coolangatta and Tweed together for the ultimate party. Music, dancing, cars, nostalgia and good old-fashioned family fun are all on the program, right here in one of the best destinations in the world. Bring the family and enjoy loads of free entertainment and retro markets. Watch the Cooly Rocks On™ Street Parade, check out thousands of classic cars, see as many amazing artists as possible, dance every night away and have as much fun as you can possibly squeeze into your stay. Balloon Down Under has been providing high quality balloon flights over the Gold Coast for over 25 years and are very keen to partner with Kirrasurf Apartments so that your customers can experience the thrill of a wonderful Gold Coast hot air balloon flight. We go that extra mile to ensure our passengers have the very best balloon flight experience available anywhere. And we have a 100% safety record. 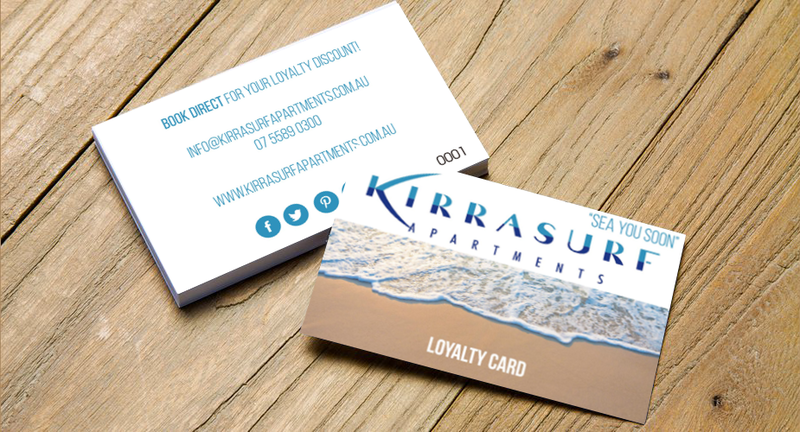 The extras that we provide to our passengers, which no other balloon flight operator servicing the Gold Coast provides, are Complimentary return transfers from Kirra Surf Apartments. Welcoming tea / coffee / biscuits on the launch field on the launch site whilst the balloon is being inflated. A bottle of cool water after the balloon pack up, following the flight. Champagne breakfast after the flight at the 5 star Palm Meadows Golf Resort, Lakeview Restaurant During the breakfast we have a ceremony when we explain the history of hot air ballooning and why it is we have champagne after each balloon flight. This is followed by the blessing of the new “balloonatics” with a champagne cork dipped in champagne and touched on each person’s forehead. Everyone has a wonderful time and they leave us with memories of a great morning. Snorkelling on the Gold Coast with the turtles is just a 20 minute boat ride from Coolangatta/Tweed Heads. We snorkel out at the Cook Island Marine Reserve, which is a small protected island just off the coast with a large population of sea turtles. Cook Island plays host to an abundance of soft and hard coral gardens, lion fish, groper, damselfish, clown fish, kingfish, schools of baitfish and many more. Green turtles are abundent all year round, with the occasional Loggerhead and Hawksbill turtles adopting this turtle sanctuary as home. You’ll be provided with top quality masks, snorkels, fins and springsuits/full length wetsuits [seasonal]. For those who like a little extra buoyancy in the water, we have ‘noodles’ which will help to keep you safely afloat, as well as view boards for those not so comfortable in the water, or great for the little ones! Kickstart your Saturday with a Yoga class by Krystal Sayer, in a free energising class for all fitness and experience levels. Held every Saturday opposite the store in the park, this is the ultimate way to have fun and fitness. Book early to secure your spot by calling us directly. Spend the morning beachside and support local artisans at the Gold Coast's famous art and craft markets, held along Coolangatta foreshore. There are over 150 stalls showcasing the best and most original of Australian-made products. Where: Coolangatta, on the beach front park off Marine Parade, opposite The Strand Shopping Centre. Gold Coast Skydive are the only Tandem Skydive operation on the gorgeous Gold Coast! Boasting an excellent safety record, state of the art equipment and a pristine beach-side location. They have a great team full of fun and professional tandem masters who will take passengers through all the necessary training and go out of their way to make sure it's a truly amazing experience that you will never forget!